In today’s tech-powered world, adopting Enterprise mobility solutions for your business is not an optional advantage now it is an absolute necessity. When it comes to logistics business, it encompasses a large number of vehicles and their drivers to deliver the consignments from one place to another. And to manage all this complete logistic system is not a piece of cake. In making logistic business reliable and productive, mobility solutions are playing a crucial role today. Nowadays, drivers, facility managers and service technicians are powered with mobile devices and app, which helps them significantly in their work, for instance, it includes proof of delivery apps, turn-by-turn navigation apps and vehicle inspection apps. 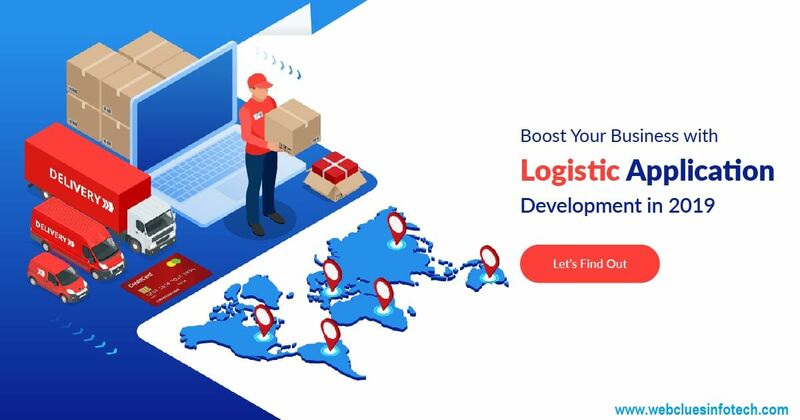 On the other hand, the customer is also able to track the real time position of the vehicle with the company’s logistic app and do so much stuff from that which includes online payment, customer’s feedback and round the clock support. But the sad part is not all the logistic businesses are successful in deploying the mobility in a right way. According to the App Tech news, most of the logistics businesses are just using a small portion of their enterprise mobility solutions in the mobile devices, which are not able to solve their pain points. This is one of the reasons, why most of logistics mobile projects only deliver “average or poor” returns on investment. Location tracking can solve several problems. First, you can easily monitor a truck’s location and predict whether it will be on time. Second, in case a truck breaks down, a dispatcher can see where the breakdown happened and find the nearest service center. In the past, in case of a breakdown a driver called a dispatcher or road breakdown department, which searched for the nearest mechanic that sent a service truck. Now, location tracking helps to facilitate communication and avoid financial losses due to delay. Both in Android App Development and iPhone App Development, api’s are provided by respective vendor to handle live location data which can be tracked with the help of GPS sensor installed in most of the Smart Mobile Phones available in the market. There are two types of vehicle location tracking — passive and active. In the past, the logistics industry mainly used passive devices. But data can only be downloaded from them after a vehicle returns to a predetermined point. Now the industry is using active tracking devices that can transfer information in real time. Other than tracking location and getting traffic info, a service engaged in freight transportation can improve fleet performance by making use of mobile fleet management tools. This is also a good way to fight the wear and tear on vehicles. You can’t avoid it, but with the help of fleet management tools you can immediately define critical situations and prevent serious accidents and breakdowns. For instance, drivers who can’t meet deadlines may rush to get to their destinations. But harsh acceleration and aggressive braking will strain a vehicle. The logistics mobile app should be easy to use and help employees to get done their task easily than ever before without frustration. This means the app should be able to solve the specific problem with easy to use interface. Apart from this, logistics firms need mobile apps that can support a wide range of technologies like Internet of Things and be able to scan and read NFC and RFID chips as well as able to insert images of documents, objects or barcodes. It is not possible to collect all the mobile app data and save it in the mobile, it is not an easy task as well as not sounds practical. The mobile app should be flexible to easily synchronize the data with the database remotely and upload all the information from the mobile device to the server machine. This not only ensures the app reliability, but it also ensures that administrators who are working at backend get rich user experience, and they don’t need to any paperwork. We are living in the world of technology where we are connected with each other 24/7, but despite this, there is a chance of breakdown. The logistic app should also be able to support offline when there is no network at all. The app should be able to save the information entered while the app was offline and upload it to the server when it comes in the network.